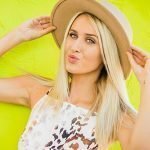 Comprehensive review of Skinceuticals Retinol Cream. See how this retinol cream compares against other wrinkle creams! Skinceuticals Retinol Cream 1.0 is one of the better retinol products we’ve tried. It’s easy to use, works fast and gets serious results. Most people will experience some redness and peeling with their very first use. But fear not, that’s completely normal when using a truly effective, relatively fast-acting retinol treatment. Once you get past the initial irritation and peeling, the results are truly spectacular. Our skin was clearer, smoother with less noticeable fine lines and wrinkles. There aren’t many downsides with this product outside of it perhaps being too strong for those with sensitive skin (in which case they have a 0.5% concentration product). It’s also expensive at $63+ an ounce. 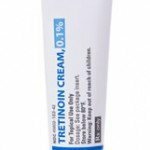 But overall, this is a very good retinol cream that will work well for the vast majority of people who use it. Skinceuticals Retinol Cream is a white-colored cream. It feels very light and smooth on the skin. Like any good retinol cream, applying this one is very simple and easy. Keep in mind, the retinol concentration of the 1.0 version is very strong– so a little goes a long way! This isn’t a product where you need to slather it all over your face. Just a very thin layer is all you need. Because it’s so strong, most of you will want to start using it just once a week. From there you can build up to twice a week, and then eventually every night or every other night. Skinceuticals Retinol Cream dries pretty quickly. After about a minute or two it was completely dry. We didn’t notice any stickiness or heavy-felling with this product. The smell associated with this product is very minimal. In fact, all you can really smell is an extremely light, fresh scent. In the short term, be prepared for some irritation and peeling when using Skinceuticals Retinol Cream. With other retinol creams, these effects can sometimes take weeks to see. Not so with Skinceuticals- it works and works fast! As we mentioned earlier, this product contains a very pure form of retinol, and in a strong concentration. So the results are accelerated relative to most other products. As most of you know, the irritation experienced with a good retinol cream is completely normal– and subsides over time with repeated use. The long term results we saw with this product were excellent– some of the best we’ve seen. Our skin was clearer, smoother with noticeably-reduced fine lines and wrinkles. Doctors and dermatologists routinely call retinol a miracle ingredient and this product really backs that claim up! If you’re looking for dramatic results, this is definitely one to consider. The concentration of retinol is listed as 1% in the Skinceuticals Retinol Cream 1.0 formula (for the record Skinceuticals also has a 0.5% concentration). I don’t know if they’re using a higher-quality retinol or the other ingredients are maximizing its efficiency, but the retinol in this product seems to work better than what we’ve seen in other products. We’ve tested other retinol products that claim to have a higher concentration of retinol that don’t work as well as this one. We’re going to chalk that up to the ingredients found in this product and to their manufacturing process. 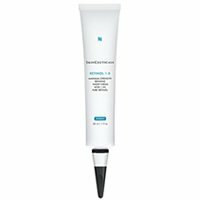 Skinceuticals Retinol Cream 1.0 costs $63.00 for a one ounce tube. That works out to $63 an ounce, which is expensive, but definitely not the most expensive we’ve seen. Skinceuticals offers a 90-day moneyback guarantee, which is excellent. You do have to call to get an RMA number, but that’s a small inconvenience relative to the generous guarantee offered. To buy Skinceuticals Retinol Cream 1.0, click here. 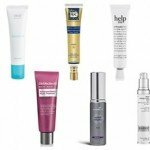 « Can Retinol Help Cure Acne?